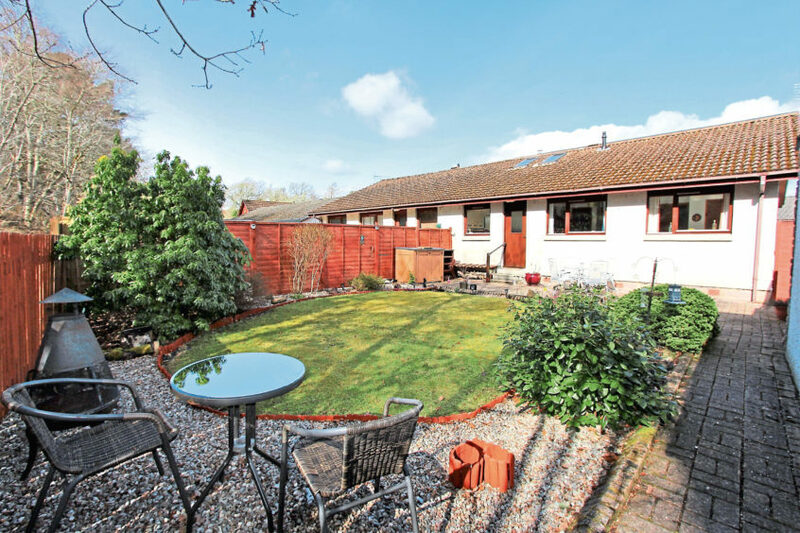 A quiet, residential area, it can feel at times as if you’re living on the edge of the countryside, yet as well as having good local amenities, it’s only 10 minutes to the busy city centre. 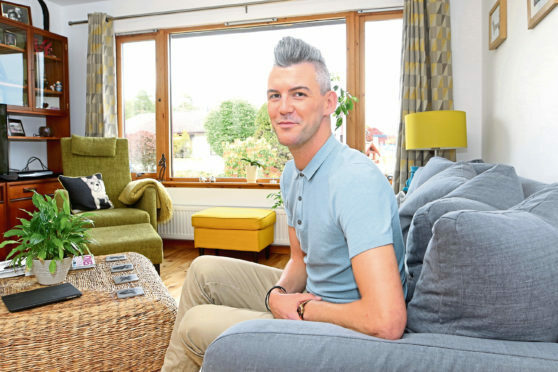 It was the combination of peaceful location and bungalow living which attracted Stephen Coutts and his partner to buy this house on Drumdevan Road six years ago. 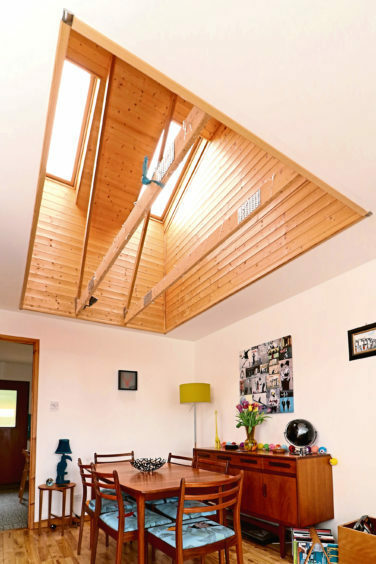 “We were relocating from Glasgow to Inverness and this house appealed to us as it is adjacent to the ancient Lochardil woods – there’s no neighbours behind us so our back garden is very private and quiet, while the woods are a great place to go for a walk, for kids to play in and ideal for those looking to walk a dog,” said Stephen, 38. “The house was built in 1991 and we bought it from the original owners. While it wasn’t an old property, we decided to bring it up to date. “We had a new kitchen and bathroom installed, a new boiler put in, every room has been redecorated and had new flooring fitted. 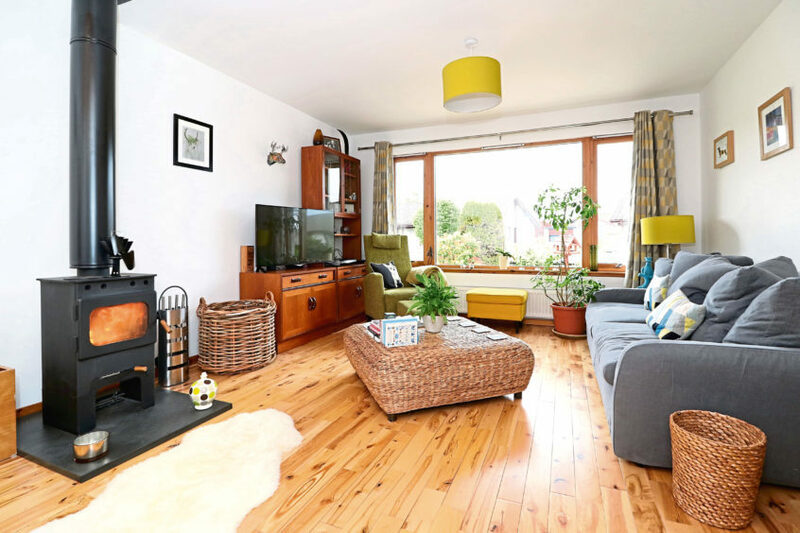 All the work was carried out by professional, local tradesmen and as a result, number 97 Drumdevan Road is an immaculate semi-detached bungalow. 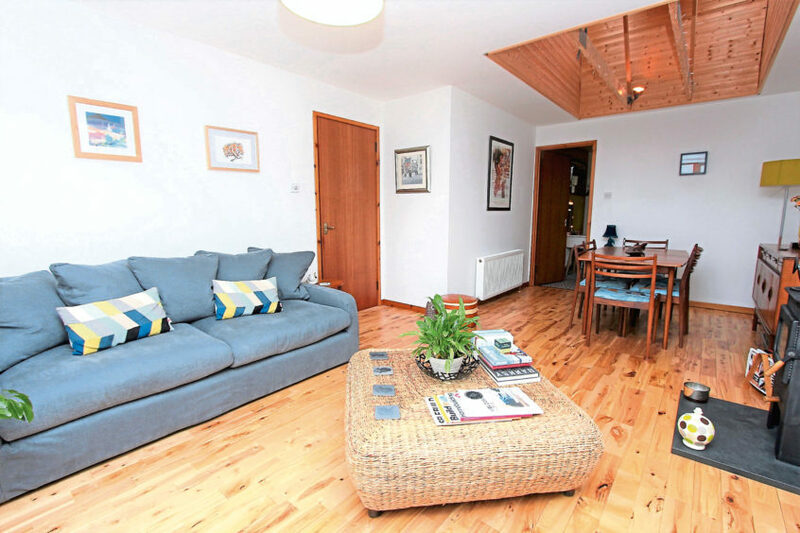 Stylishly decorated throughout, with well-proportioned rooms, it will appeal to young professionals and families alike. The spacious lounge/dining room has a feature picture window overlooking the established front garden, and the multi-fuel stove is an attractive feature, but what really gives this room the wow factor is that at the dining room end, there’s a vaulted ceiling with twin Velux windows which allow natural light to flood the room – a feature that’s highly unusual for a bungalow. “We have friends who are architects who suggested the dining room would be stunning if the ceiling was vaulted,” said Stephen, who trained at the Michelin-star Inverlochy Castle Hotel and is currently host at Prime, the newest restaurant in Inverness. “When the time was right for us to refresh the lounge we took their advice and vaulted the ceiling above the dining room which is big enough to accommodate a large table and eight chairs,” he said. From the dining room, a door leads to the contemporary kitchen fitted with stylish white gloss units and paired with solid wood worktops. 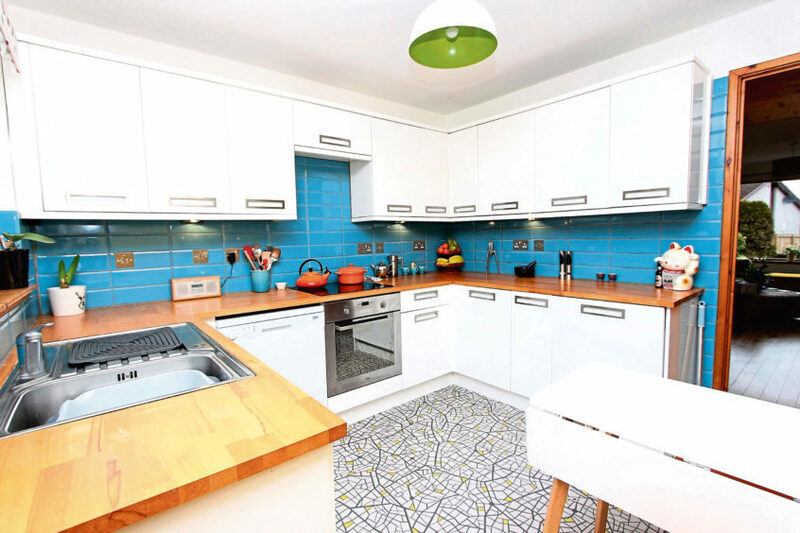 Integrated appliances include an electric induction hob, oven and fridge. There is space for a dishwasher, washing machine and a small table and chairs. The house has three, large double bedrooms all of which can easily accommodate king-sized beds, and each contains built-in wardrobes. “We are extremely lucky as every bedroom has built-in storage but we also have three large storage cupboards in the hall, which means we rarely use the loft which is partially floored and reached via a Ramsey ladder,” said Stephen. 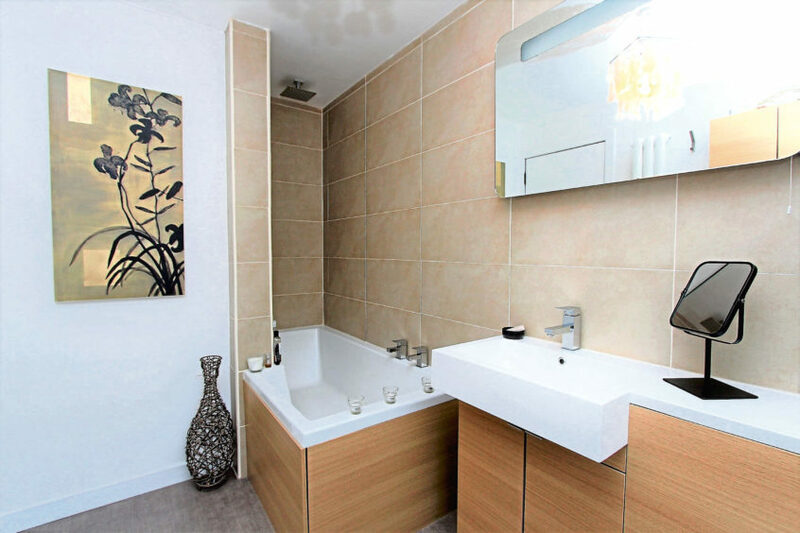 The family bathroom is an ideal place to relax and chill out after a hard day at work. “Our architect friends helped us re-design the bathroom in a way which used the space differently so we have created a room with much more space,” said Stephen. Outside the house, which has double glazing, gas central heating and is on the market at a fixed price of £198,000, there are gardens front and rear. These were already established but have been added to and enhanced with further planting and two seating areas which are ideally placed to catch the sun. There is a driveway offering off-road parking for up to three vehicles which leads to a single garage with power, light and lots of storage space – clever use of the old kitchen units. “In the past we have owned classic cars and used the garage to house these, but the length of the driveway meant we could keep our regular cars off the road too,” said Stephen. Stephen and his partner have done a grand job of creating an immaculate home that’s ready to walk into and are selling now as they are looking for a complete lifestyle change. To view the property contact Tailormade Moves on 01463 233218.